Systems Beauty College's systems and teaching styles are different than most and are designed to meet your learning needs. Up to $4000 may be available in government grants in the hair-styling program. We have a very high employment rate among our graduates in all our programs. This is likely to do with our constant upgrading in industry and college classes in adult education. 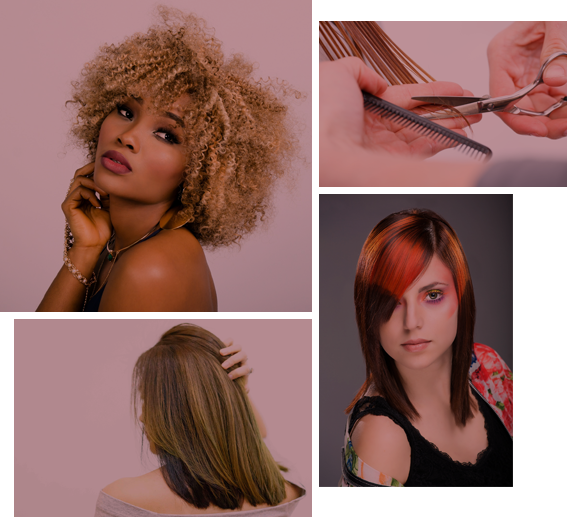 Our diverse clientele gives you experience in modern coloring and cutting techniques as well as the classic styles. We have many male clients and some children, so you will be prepared for anything the salon has to offer. Become recognized as a qualified nail technician, specializing in nail services such as sculptured nails including gel, acrylic and overlays, manicures, pedicures, as well as permanent polish (Shellac) and nail art/design. Full and part time courses leading to a required 2 year apprenticeship. Upon successful completion of our course and an apprenticeship, you will be a red seal certified hairstylist! Can't commit to 9.5 months on campus learning? Then learning online is for you! Learn theory, perform mannequin work, and follow customized videos at home, then complete limited campus experience for a well rounded education! Systems Beauty College runs as a salon 9:30am - 4:00pm, Monday to Friday. During this time you practice all your practical and communication skills. Personality and communication are a large part of your success. We not only give you trade training, but we also teach you how to be employable and successful. Our clients are mostly patient and understanding and this helps you be more comfortable and confident.